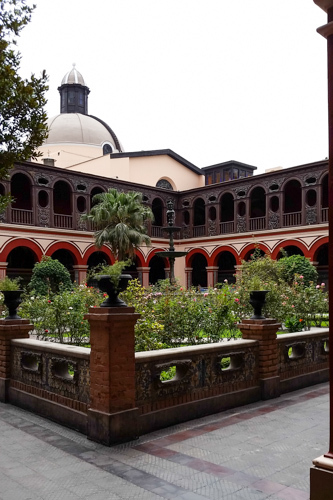 There are more posts from Germany and Austria to come, but for now I am traveling in Peru along with Father Tom Mattingly. Tuesday, January 20, 2015: It was a short night. We arrived at our hotel at 2 o’clock in the morning. 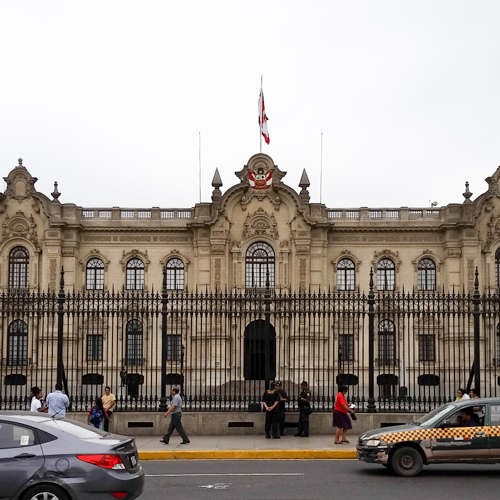 We got up to a great hotel breakfast and had to go to the migration office because someone lost their migration card… The migration card is something very important in Peru, to avoid 18 percent sales tax. It was 2 hours that we will never get back again, but the people were helpful and very friendly. They went out of their way to help us maneuver through a bureaucratic maze. 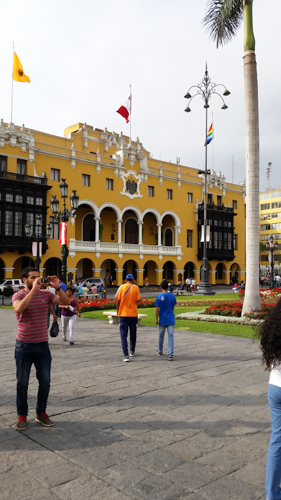 From the office we went to Plaza de las Armas, the central square in the old city. It is a beautifully landscaped plaza, bordered by the cathedral, the bishop’s palace, the governor’s palace, and the central post office. We were relieved to see such a beautiful side of Peru because the areas we had seen so far were rather run down. 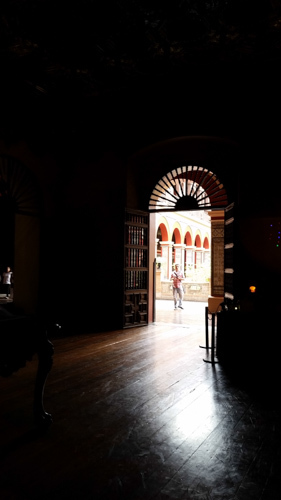 We walked to the Convent of Santo Domingo and were able to get in the church before it closed down for the afternoon. One of the side altars was dedicated 1 of the 2 favorite saints of a Lima, Martin de Porres, who spent his life and died in this monastery. We were surprised to see his skull in a glass case on the altar. After leaving the church we took a tour of the monastery and Museum. 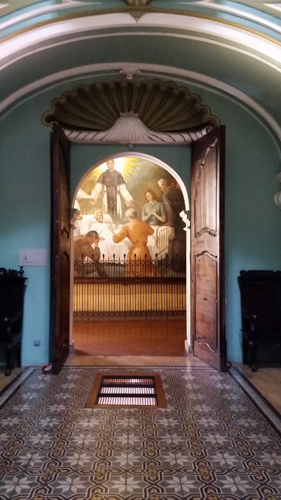 There is a chapel in the monastery dedicated to Saint Martin in the room that served as the infirmary where he had worked. His grave in this the room contains his body but not his head. 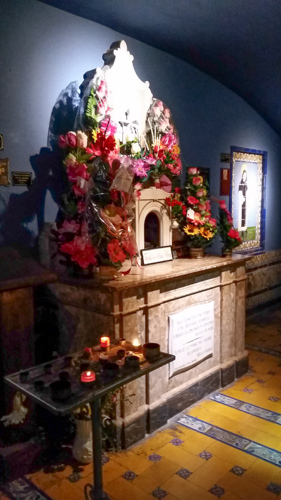 There was another chapel in the monastery, below the order’s chapter room, dedicated to Saint Rose of Lima, Lima’s other favorite saint. 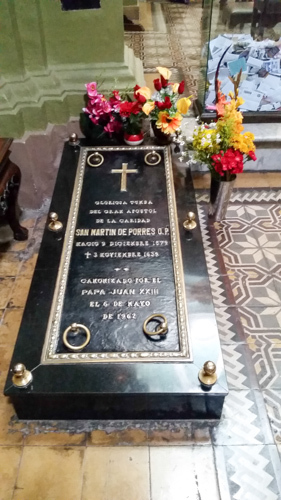 She dedicated her body to the monastery before she died, but her head is interred in the church of Saint Rose, built where her family home had been. 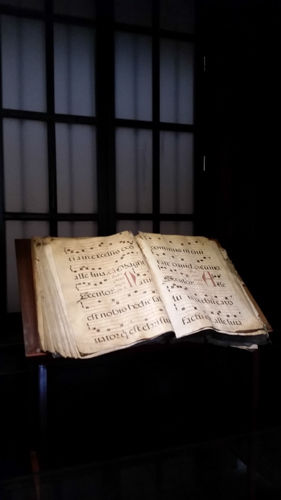 We were impressed by a 17th century library in the monastery full of ancient volumes. I was happy to see a volume of Dante’s Divine Comedy displayed in the library. 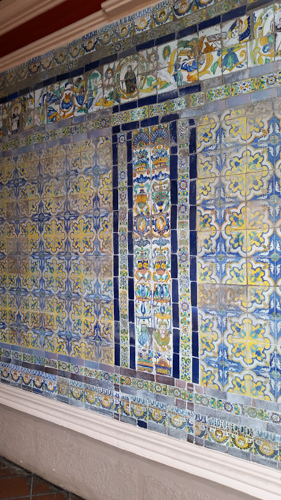 Everywhere walls where covered in decorative tiles from Spain, frescoes and wood carvings. 1609 Tiles in Monastery with Moorish imfluence. 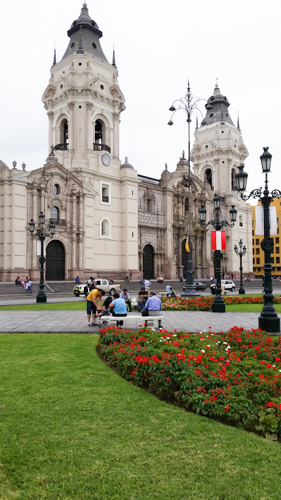 After the Convent of Santo Domingo we returned to the central square to find lunch. We settled on a meal of “the best ceviche in the world” according to the waiter, and a bottle of the local white wine, also the “best in the world” according to the same waiter. It was delicious, and delightful to watch the activity in the area. Next to our table was a group of Italian nuns. It has taken some time getting use to the rate of change. The Peruvian sol is 3 to 1 US dollar, making the listed prices 3 times higher than we would expect. We had several instances of sticker shock before we got used to it. 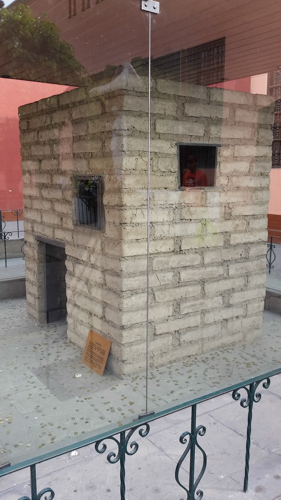 Saint Rose of Lima’s hermitage. We only had time to visit one more church before we wanted to get back to the hotel, so we walked to the church of Saint Rose of Lima. The church was closed for the day but we were able to walk around the ample courtyard. Under class was the small house she and her brother had built and where she had spent her life. Father Tom was thrilled to be able to purchase medals at a small gift shop there. Although the church was closed there were many people there, a sign of her importance to the people. We returned to the central square to catch a taxi back to the hotel. 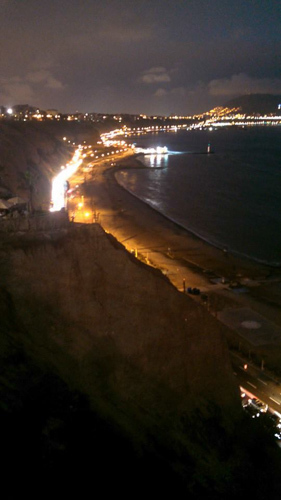 It was scary to experience Lima traffic, but we arrived back safely. After a rest, we walked about 20 minutes from the hotel to the Pacific Ocean. The walk took us pass high end shops. casinos and 5 star hotels. The road ended in a park that looked down a steep cliff to the ocean. There was a complex of shops, restaurants and parks that took advantage of the wonderful view. 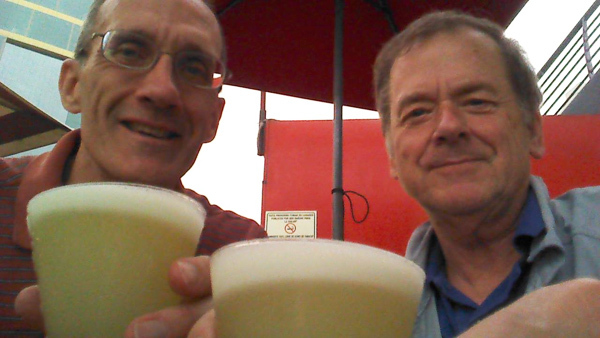 We decided that an appropriate way to end the first day would be to try the local cocktail, the Pisco sour, made from the local liquor, pisco. We felt affirmed in our decision as we found a two for one happy hour at a restaurant overlooking the ocean. A long but rewarding day. 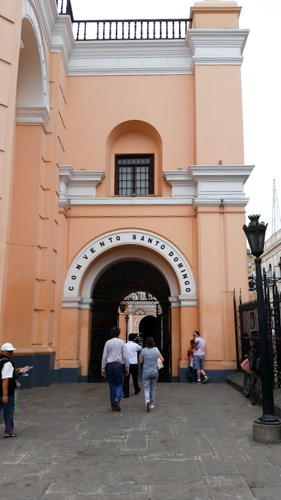 This entry was posted in Saints, Travel and tagged Lima, Peru, St. Martin de Porres, St. Rose of Lima on January 23, 2015 by frjfkauffmann.